It is now common practice to include low carbon heating technologies in new heating systems, helping end users to reduce energy consumption and carbon emissions. 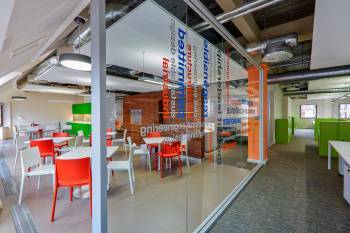 Often, gaining planning permission or BREEAM points is another important driver for the use of such technologies. The challenge in achieving maximum benefits is to get these technologies to work with optimum efficiency. This challenge arises because it is rare for a single low or zero carbon (LZC) technology, such as heat pumps or solar thermal, to be the sole heat source. Typically they may be combined with each other and, very often, with conventional heat sources such as gas or oil fired condensing boilers. Installing such back-up heating is particularly important when using heat sources that experience seasonal variation in their heating capacity - solar thermal being an obvious example. In such cases the key is to design the system so that it makes use of LZC technologies in such a way that the boiler's contribution to the heating and hot water are minimised. That may sound obvious but there are still many projects where such opportunities aren't taken because the performance expectations of the LZC technologies are relatively low. Consequently, the return on investment (ROI) calculation predicts an extended payback period that doesn't satisfy the financial criteria of the project, so that the opportunities to reduce energy consumption aren't fully exploited. In our view, the default approach should be to design the system to take advantage of LZC opportunities and maximise their performance, thereby radically altering the ROI calculations and increasing the use of LZC technologies. In parallel, it's important to maximise the efficiency of any conventional heating technologies being used in the system. To that end, the hydraulic design and the control strategy of the project are both critical. For example, pre-heating water with a heat pump or solar thermal system will raise the return temperature of the water in the system. Therefore, if a condensing boiler is also being used, the amount of condensing will be reduced so that energy is potentially wasted. The answer is to use a thermal store as a buffer with very good control of stratification. In this way, the different temperature layers are maintained and each heat source is used to maximum benefit. Good thermal stores incorporate devices such as perforated plates to prevent turbulence and have multiple temperature sensors for efficient monitoring of the system. The information from the sensors is then used by the control system to optimise performance. Of course, the precise design will need to take account of the specific requirements of the project. Where there is a swimming pool, for instance, it will act as a large heat sink with relatively low operating temperatures, so there may be no need for a thermal store. However, this is hardly a typical arrangement in the UK. Given the considerable variation in solar irradiation levels in the UK there tends to be more interest in using heat pumps as the LZC element of a project and we have seen growing demand for hybrid boiler/heat pump units. 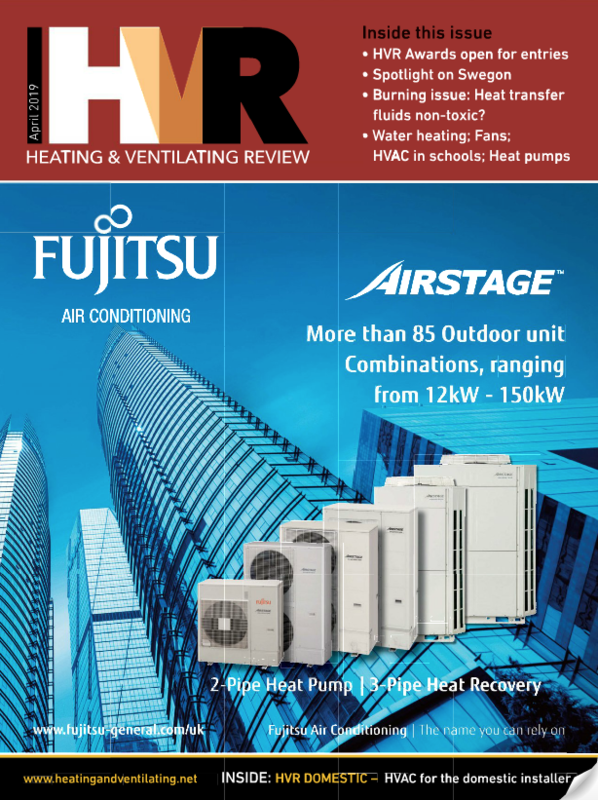 Combined air source/ground source heat pumps are also gaining popularity. Again, getting the best performance from such systems depends heavily on the control strategy to minimise the use of the boiler, or to use the air source heat pumps (ASHPs) to reduce the extent of expensive groundworks for ground source heat pumps (GSHPs). In our experience, how efficiently such systems work depends on how the system is configured around the bivalence point - that is, the external temperature the system switches to alternative heat sources. For example, in a typical scenario, the bivalence point for an ASHP may be at an ambient temperature of 5°C. Below this temperature the conventional approach is to switch to a boiler to meet all heating loads as the Coefficient of Performance (COP) of the heat pump will be considered unacceptable. An alternative is to work with a variable bivalence point that maintains an acceptable COP while using the ASHP to meet part of the load and topping up with the boiler. Clearly, this depends on a good control configuration. This arrangement can be used to reduce the size of the boiler. However, in most cases specifiers will feel more comfortable in sizing the boiler to meet the full load 'just in case'. Therefore a modulating boiler with a good turn-down will help to meet variable heating loads with maximum efficiency. Probably the biggest barrier to using GSHPs in the majority of projects is the cost of excavating the required groundworks - with typical costs of around £1,000/kW for the whole installation. And the higher the capacity of the GSHP the more extensive the groundworks as each area of ground will need time to recuperate once heat has been extracted. One way to reduce the costs, and therefore increase the financial viability of using GSHPs, is to combine them with an ASHP. In this arrangement, the ASHP reduces the running time of the GSHP, so that both recuperation time and the extent of groundworks are reduced. We have found that only running the ASHP when ambient temperatures are above the bivalence point will reduce groundworks by around 25%. Using the ASHP below the bivalence point to supplement the GSHP will reduce groundworks by as much as 50%. Underlying these examples is an approach that goes beyond the ways 'things have always been done' and looks for innovative ways to fully exploit the characteristics of each technology. Not only does this approach harness the expertise of building services engineers - and potentially make such projects more interesting from an engineering perspective - it also delivers a better solution for the end-user.